Here is my game #2 of my personal challenge a game a week. 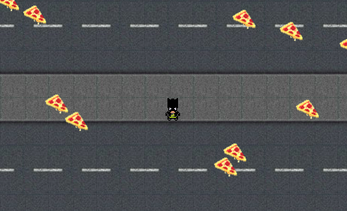 You have to choose your DC hero (Flash or Batman) and eat all the pizzas. Use echap to quit the game and return to the menu. As flash, use CTRL to get speed ! As Batman, use CTRL to launch your batarang ! But be careful, you have only 90 seconds! Feel free to leave a comment :) I hope you'll enjoy it. I think there's a bug with the scrollbar.